won the NCCAA National Championship. 8 were Upsilon men as well as the head coach. 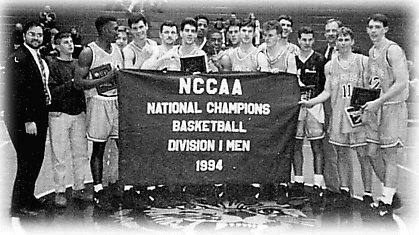 NCCAA National Championship in basketball in 21 years. Russell Meilstrup finished his career as the second all-time leading scorer in Lee University history (1788 points) and third in assists (461.) Rodney Knox finished his career as the fifth all-time leading scorer in Lee University history with 1667 points.